Joy Bauer shares two recipes from her newest cookbook showing comfort food can still be healthy. Nutritionist Joy Bauer is back with Megyn Kelly to share two recipes that highlight health-boosting ingredients. In her latest cookbook, "Joy's Simple Food Remedies: Tasty Cures for Whatever's Ailing You," she tackles 20 of the most common everyday ailments through tasty and nutritious recipes. 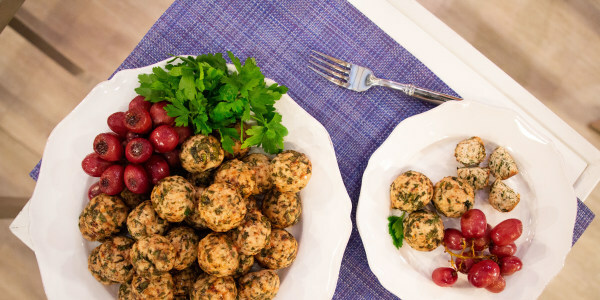 She showcases two dishes that may help tackle belly fat and lethargy: delicious, flavor-packed chicken meatballs and a roasted broccoli-artichoke dip. "These savory meatballs are loaded with flavor. I like to kick up the heat by adding a dash of crushed red pepper flakes," says Bauer. 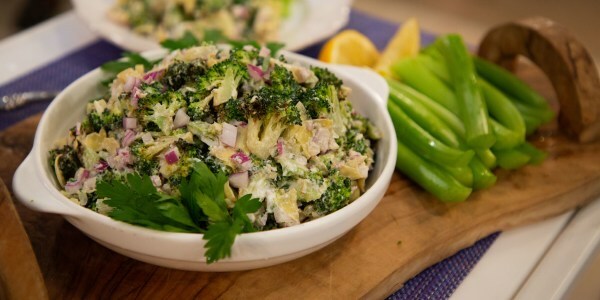 "This recipe includes four foods that may help fight belly fat: broccoli, artichoke, onion and Greek yogurt."